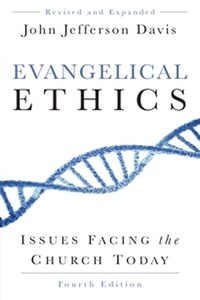 For three decades, Evangelical Ethics has been regarded as one of the best treatments of contemporary ethical problems facing Christians. John Jefferson Davis brings mature biblical thought to issues such as homosexuality, genetics, abortion, euthanasia, war and peace, the environment, divorce, and remarriage. This fourth edition includes a new chapter on the history and legacy of slavery in the United States. Other chapters have been revised and updated.